BRAMPTON, ONTARIO, CANADA, September 3, 2013: Doellken-Woodtape, a leading supplier of edgebanding to the woodworking industry, uses a new polypropylene- (PP-) based compound from Teknor Apex Company to produce T-edge profiles that provide an alternative to traditional materials for finishing curved surfaces in office furniture that is compatible with today’s green building rating system and codes, it was announced today by Teknor Apex. 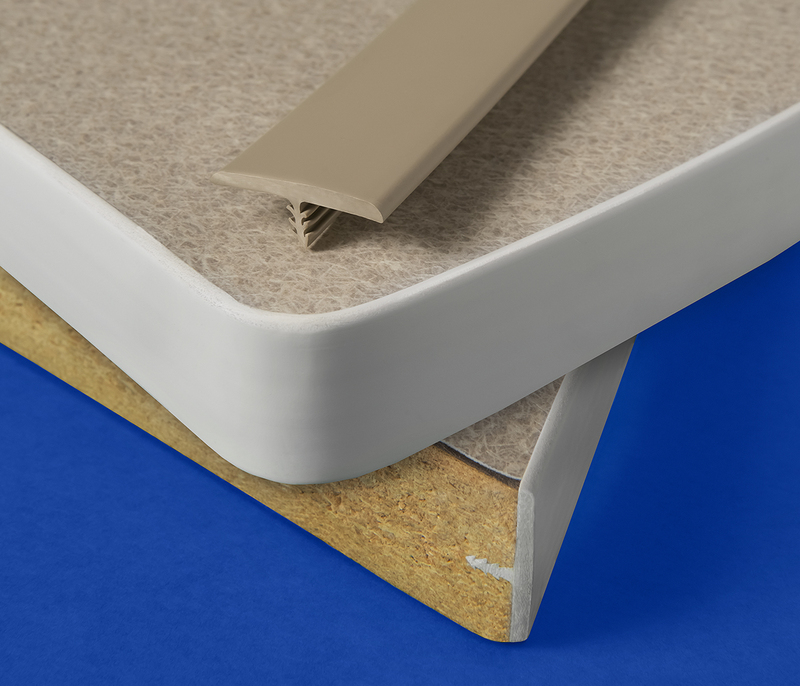 The Synres® PP compound used by Doellken-Woodtape for its T3™ T-edge profiles is a pliable material that provides the flexibility needed for application to the curved edges of desks, filing cabinets, and other items, providing permanent, uniform coverage even at corners with a 25 mm radius. This overcomes problems with deformation, spring-back, and stress-whitening encountered with T-edges made of other materials. Extrusion technology developed by Doellken-Woodtape yields profiles whose width is precisely controlled so that furniture edges are completely covered without need for trimming, according to Gene Dera, vice president of sales for Doellken-Wootdtape.